Hi, all fans of T9A. This week, we have two kickstarters to present. TMS needs no presentation. They are happy to help modelists to get a cute medieval village as the lovely place for future massacres. 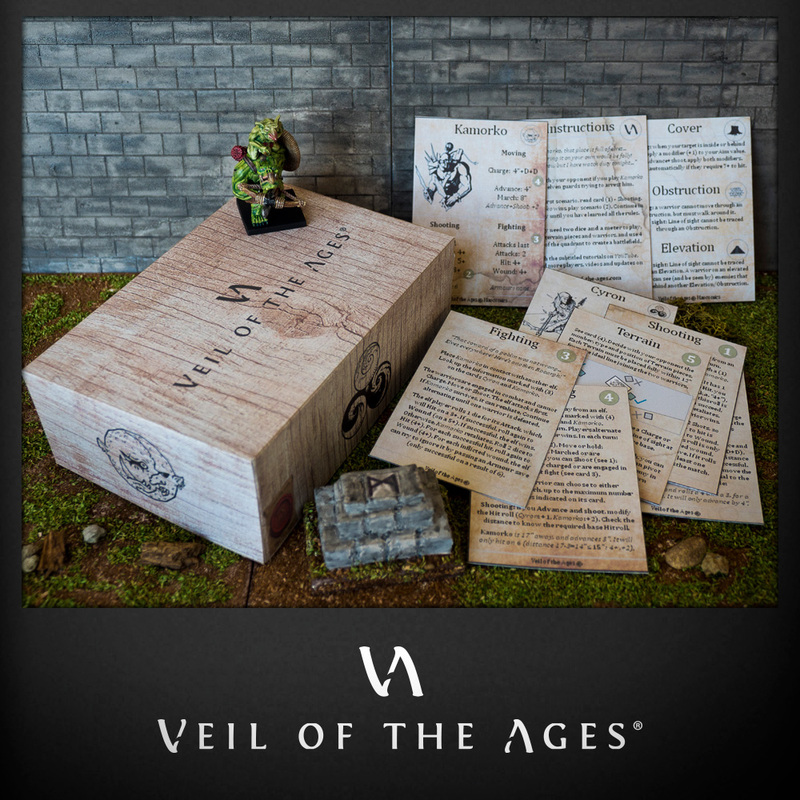 The Veil of the Ages is a new company, which develops a simplified tabletop product, designed as a first step before QS and T9A:FB, for those who wish to get a taste without reading more than a couple of pages. The idea is to help YOU to introduce your favorite game to hesitant partners: it concentrates on the fun, removing all the hassle. A good start before going deeper. (terrains4games is run by 2 people that started TMS with me). T9A starter sets Kickstarter, please support! 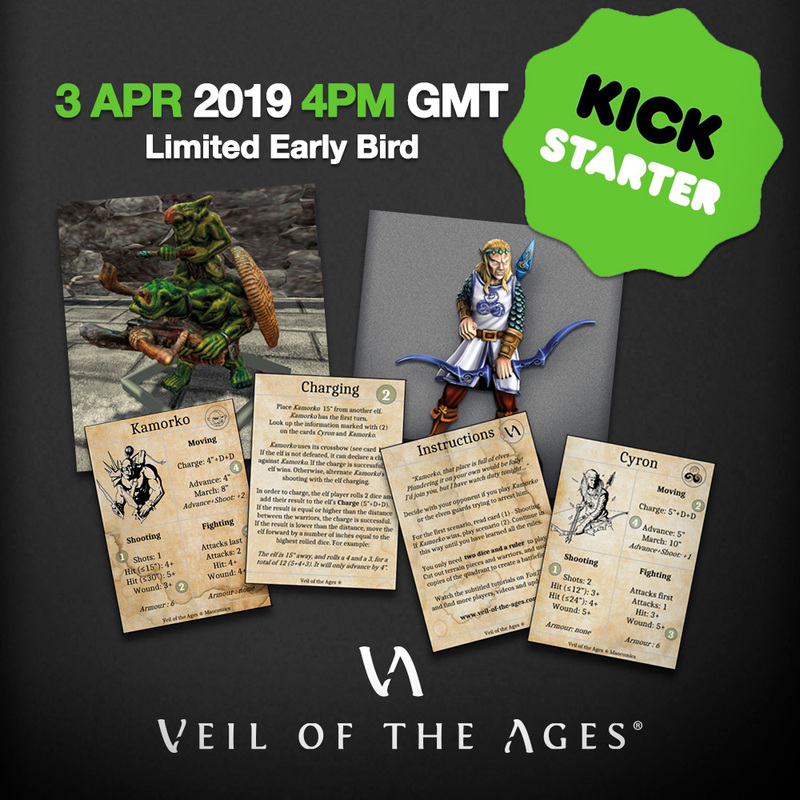 today, 4pm GMT, Veil of the Ages launches its first crowdfunding campaign on KickStarter! We created a starter set containing all you need, to share our fantastic hobby with friends and family. We called it "The Breach", because it offers new players a first glimpse of what lies beyond the Veil: an Age of epic battles! The rules are simplified to the bone, and they are introduced progressively. Grab two miniatures, read a scenario card, and play. But Veil of the Ages is not only meant to attract new players to our hobby. It is also meant for the experienced players and hobbyists. The starter set contains two beautiful miniatures, sculpted with love, and which pay tribute to The Ninth Age by celebrating two of our beloved factions: Orcs and Goblins, and Highborn Elves. And for those of you who hate both pointy ears and the colour green, no fears. With your support, we will unlock further miniatures, which we will include as free add-ons to the starter box. The price remains unchanged. Ah, speaking of prices: make sure you grab the best offer. we have a few limited super-crazy-early-bird offers, so make sure you grab them while you can. starting price is 15€ (no shipping) - for more details, you can see the table below. Simple rules to help you share your game, original miniatures, prices as low as they can possibly be. and it doesn't end here! We worked hard to give our Community an amazing platform to play on your computer screens, in a 3D game engine. With your support, we will be able to share this Tabletop Simulator extension without charging any extra cost. and yes, yes, of course... the work we have done for the videogame version is currently being expanded to let you play with The Ninth Age as well. We will start with the QuickStarter, but with your support, we will have the strength we need to implement every single model from every single faction in the full Fantasy Battle game. Because Veil of the Ages only exists thanks to the amazing work of The Ninth Age! But all of this will only remain a fantasy, a beautiful dream, unless you help us make it real. You can support us by giving your feedback - some of you noticed that we have already implemented some suggestions from the Community. You can support by donating and pledging for the starter sets. You might even want to buy more than one box - after all, it's a very viable small gift for friends or family! And you can support us by spreading the word - being excited, sharing our Twitter / Facebook / Instagram / Pinterest posts with your own network of contacts. I really hope I'll see many of you on KickStarter at 4pm (London time). 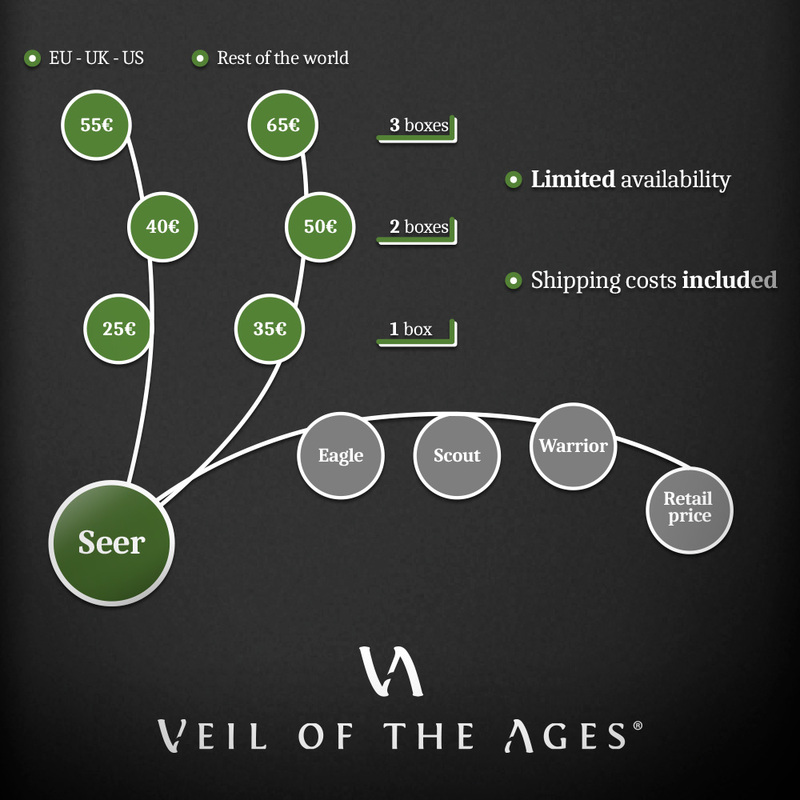 a good first few hours in the KickStarter campaign will give us the visibility we need to put Veil of the Ages and The Ninth Age into stores and clubs and computer screens of the entire world. I have given all i can to this project, now the time has come for me to hand my dream to you, and ask your help in turning it into reality. but you are the wind under her wings. Previous news Normality has resumed, no thanks to Klepa!